New findings from diverse fields are are being brought to bear of the central question of the 21st century: How common is life in the universe? Where can it survive, Will it leave a fossil record, How complex us it. The list below moves several key features of the Universe's "off the chart" of likely places to search for life. Peter Ward and Donald Brownlee, both of the University of Washington have outlined a short list of conditions needed: Right distance from a star; habitat for complex life; liquid water near surafce; far enough to avoid tidal lock; right mass of star with long enough lifetime and not too much ultraviolet; stable planetary orbits; right planet mass to maintain atmosphere and ocean with a solid molten core and enough heat for plate tectonics; a Jupiter-like neighbor to clear out comets and asteroids; plate tectonics to build up land mass, enhance bio-diversity, and enable a magnetic field; not too much, nor too little ocean; a large moon at the right distance to stabilize tilt; a small Mars-like neighbor as possible source to seed Earth-like planet; maintenance of adequate temperature, composition and pressure for plants and animals; a aglaxy with enough heavy elements, not too small, ellipitcal or irregular; right position the galaxy; few giant impacts like had 65 million years ago; enough carbon for life, but not enough for runaway greehouse effect; evolution of oxygen and photosythesis; and, of course, biological evolution. In stark contrast, the listing of "dead zones" compiled for Rare Earth -Why Complex Life is Uncommon in the Universe by Ward (Professor of Geological Sciences and Curator of Paleontology) and Brownlee (Professor of Astronomy and member of the National Academy of Sciences). Early Universe: The most distant known galaxies are too young to have enough metals for formation of Earth-size inner planets. Hazards include energetic quasar-like activity and frequent super-nova explosions. 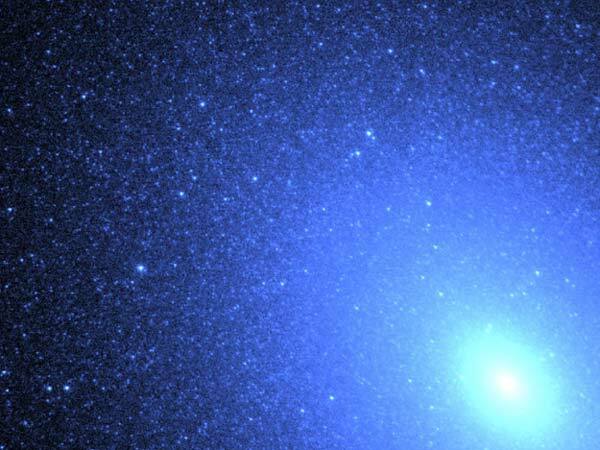 Elliptical Galaxies: Stars are too metal-poor. Solar mass stars have eveloved into giants that are too hot for life o inner planets. Globular Clusters: Although they contain millions of stars, the stars are too metal poor yo have inner planets as large as`earth. Solar mass stars have evolved to giants that are too hot for life on inner planets. Small Galaxies: Most of the stars are too metal deficient. Centers of Galaxies: Energetic star building and black-hole processes prevent development of complex life. Edges of Galaxies: Where most stars are too metal poor. Planetary Systems with "Hot Jupiters": Inward spiral of the giant planets drives the inner planets into the central star. Planetary Systems with Giant Planets in Eccentric Orbits: Unstable environments. Some planets lost to space. Future Stars: Uranium, potassium, and thorium too rare to provide sufficent heat to drive plate tectonics. Three years ago, astronomers at the European Southern Observatory in Chile announced that they had found what might be the first habitable planet outside the solar system. Known as Gliese 581c, the planet is only five times as massive as the Earth and inhabits a rare sweet zone around a dim red star in the constellation Libra where it is neither too hot nor too cold for liquid water. Gliese is but a cosmic hop, skip, and jump from Earth -only some 20 light years away (or 120 trillion miles!). Voyager 1, now leaving the solar system at a speed of about 39,000 miles per hour, would need more than 300,000 years to travel that far. Or, maybe someday we'll actually invent a Star Trek-type transporter that reassembles our atoms and transports us to the farthest reaches of the Cosmos. For decades, scientists have been debating the conditions that are needed to replicate an Earth-like probablility of complex beyond the microbial level. There's not much doubt in the minds of most astrobiologist that based on extremophile life we've discovered recently on Earth (see prior posts below), that life on the microbial level will be discovered sometime in the next twent years on Mars or on one of Jupiter or Saturn's moons. The three recent key findings for astrobiology are extremophiles, extrasolar planets, and a sense that water may be more ubiquitous even in our own solar neighborhood (in meteors like the Mars' Lafayette, Europa, and the ice frost on polar Mars). This picture has evolved quite suddenly with 1300-plus extrasolar planets found in just the last decade (and none known before around 1995). We now know that the number of planets in our own galaxy could easily tally in the hundreds of billions. The discovery of Gliese was a visible clue that a great number of these could be carpeted in the dirty chemistry we call life. Life on Earth may be unique, but it might not be miraculous. The most exciting part of the find, Dr. Sasselov said, is that it “basically tells you these kinds of planets are very common.” Because they could stay geologically active for billions of years, he said he suspected that such planets could be even more congenial for life than Earth. Although the new planet is much closer to its star than Earth is to the Sun, the red dwarf Gliese 581 is only about a hundredth as luminous as the Sun. "So seven million miles is a comfortable huddling distance." But for evolved animal life to be present we need to find that sweet "Goldilocks" planet with an exceedingly complex host of conditions present that have given rise the "Rare Earth" hypothesis. Dr. Sasselov noted that aliens could have been pointing their antennas at Earth for 4.6 billion years, without picking up a signal. "Maybe the inhabitants of Gliese 581c are at the level of the classical Romans . . . or maybe trilobites." We need to check out hundreds of thousands of Earthlike worlds. Image top of page: In recent years, the centers of elliptical galaxies –known for their old, red stars– have been found to emit unexpectedly high amounts of blue and ultraviolet light. Most blue light from spiral galaxies originates from massive young hot stars, in contrast to the red light from the old cool stars thought to compose ellipticals. In the image above by the Hubble Space Telescope, the center of nearby dwarf elliptical M32 has actually been resolved and does indeed show thousands of bright blue stars. The answer is probably that these blue stars are also old and glow blue, reaching relatively high temperatures by the advanced process of fusing helium, rather than hydrogen, in their cores. M32 appears in many pictures as the companion galaxy to the massive Andromeda Galaxy (M31).